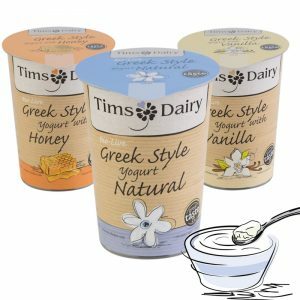 We are so delighted to tell you that you can now find our Greek style yogurts in selected branches of Morrisons. Our hero pots of Greek Style Natural 500g, Honey 450g and Vanilla 450g are now available on the shelves at selected regional stores – waiting for you to put into your shopping basket. You can find out if we are in a store near you on our Where To Buy page by simply entering your postcode. Each one of these yogurts is award-winning and we hope that the new listings will bring our great tasting goodness to more people. Do please tell your friends and family, and help us to spread the ‘yogurt’ word.